Our company is an industry leader in validation, compliance, and calibration services, and delivers in-depth investment consulting and quality & inspection management software solutions for the biotechnological, medical device, pharmaceutical, and diagnostics industries. We focus primarily on engineering, compliance, commissioning, qualification, validation, information technology, computerized system validation, regulatory affairs, quality control, investment consulting, and enterprise software. Our company is a catalyst – helping emerging life science companies to achieve their potential. We provide the necessary professional consulting services, the information technology infrastructure, and the contract manufacturing operations to help companies achieve their goal of getting their products approved by the world’s global regulatory bodies with the highest level of quality and compliance oversight. PSC Biotech was founded in 1996 with the vision of providing life science companies mission-critical professional services to ensure that their healthcare products are manufactured to the highest standards and meet all regulatory requirements. Since our company’s inception, we have grown and diversified to become a one-stop life science service and solution provider that offers consulting, software, contract pharmaceutical manufacturing, and strategic and investment advisory services to more than 350 clients in more than 23 countries worldwide. 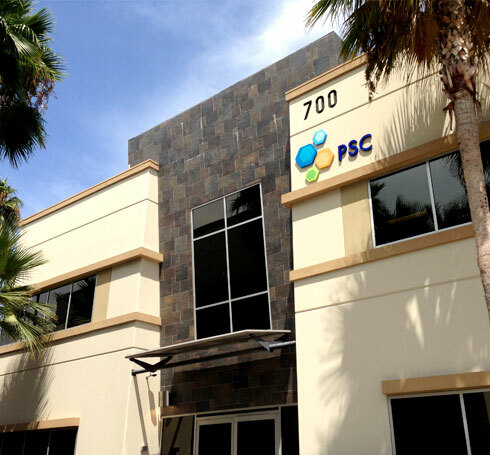 PSC currently employs a staff of over 250 throughout our strategically located offices in the United States, Europe and Asia.